Wilson Company was founded in 1965 and has become recognized as an innovative, solutions-oriented fluid power distributor. We recognize and agree that our customers expect and deserve outstanding service. The secret is in how we treat others and each other. Wilson Company is still the family-owned business it always has been. You never get the feeling that it's just business, a sense of family and the importance of long-term relationships always come through. You can experience our service at 6 locations in Dallas, Fort Worth, Austin, Houston, Texarkana, and San Antonio. 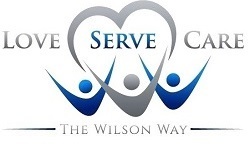 As Wilson Company grows, we look for leaders. The formula is pretty simple. When we do a good job with our customers and associates, we grow. When we grow, there is more opportunity for advancement. That is how we have been building our business for over 50 years. We hire the best and the brightest, so it only makes sense that we would listen to what they have to say and learn from what they do. We invite you to learn more about opportunities at Wilson Company.